New Jersey is now the second state in the country requiring individual health insurance for residents. On May 30, 2018, Gov. Phil Murphy signed into law a bill (A3380 – New Jersey Health Insurance Market Preservation Act) that will require all New Jersey residents to have health coverage or pay a penalty, making the state the second in the country to enact an individual health insurance mandate. This bill will supersede the requirements imposed by the federal government, under the Affordable Care Act (ACA), which is set to expire on December 31, 2018. The bill requires most individuals, other than those who qualify for certain exemptions, to obtain health insurance or pay a penalty. 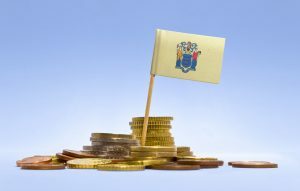 The bill is intended to ensure that health insurance markets in New Jersey remain robust and affordable by ensuring that individuals who can afford to purchase insurance participate in the market. Specifically, the bill requires that every resident taxpayer of the State obtain health insurance coverage that qualifies as minimum essential coverage under the bill. For those residents without health insurance the new law imposes an annual penalty of 2.5% of household income or a per-person charge, whichever is greater. The maximum penalty when based off household income will be the average yearly premium of a bronze plan. When based on a per-person charge, the maximum penalty will be $2,085. An individual may qualify for a hardship exception if they are unable to afford insurance. The tax imposed under the individual mandate shall be assessed and collected in the same manner as under the New Jersey Gross Income Tax. The new law takes effect on January 1, 2019, which gives state officials plenty of time to make the public aware of the new health insurance requirement. Contact us to discuss the new law further.